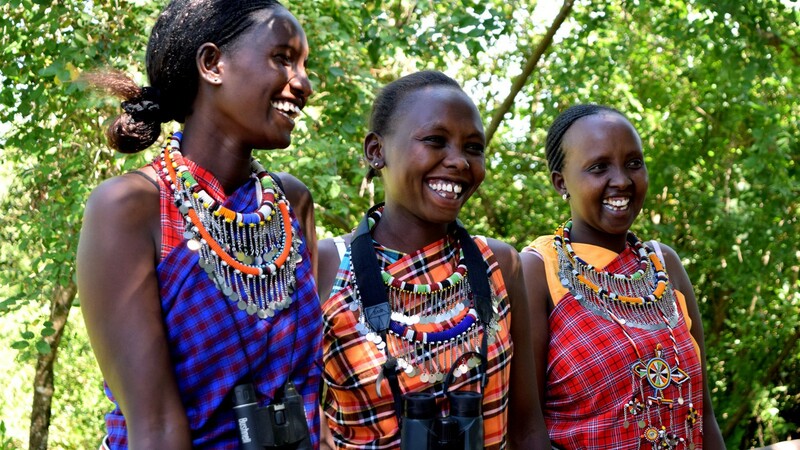 As they get ready for the pictures, the ladies talk in Maa: they help each other arranging their jewelry, they set the binoculars. So I start with them looking for something over the escarpment, they don’t want to pose for a picture just with their garments, this should reflect their work, what they are good at. They are laughing and playing, nothing is too serious for them; “hakuna matata”, no problem. Kashumbare, one of our female chefs has come to watch as well. I take some pictures of them together, I take single pictures as well –and in between tea and my ‘mate’ Gladys says to me “Sofi, we want to thank you a lot for this, it means so much for us”. Warm hearts, disposition and a lot of will to work: watch out for these ladies –they are doing an excellent job, and they will only get better. 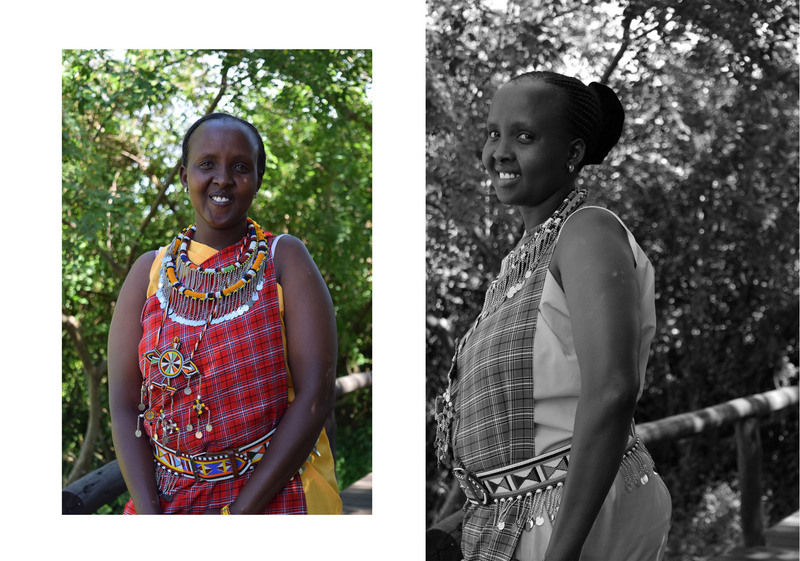 Here are Serians pride and joy, our Maasai female guides: Gladys, Judy and Grace. Ladies, it’s a pleasure to see you work and grow; we can only hope for more and more “gals” like you out there. You are an example and we are very proud of the three of you. I grew up in a place where people conserve animals and environment. 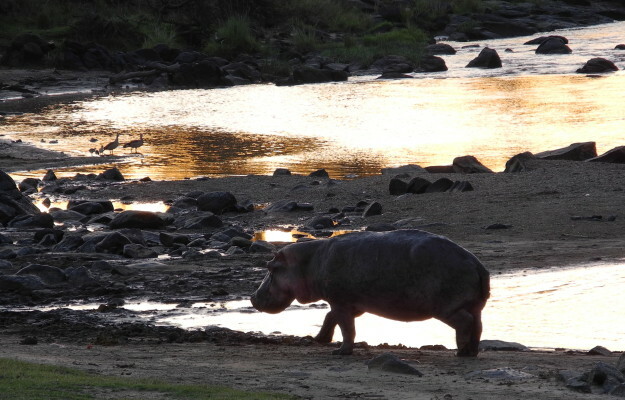 My parents are members of the Mara North Conservancy, so with the money they got from that I got to go to school. 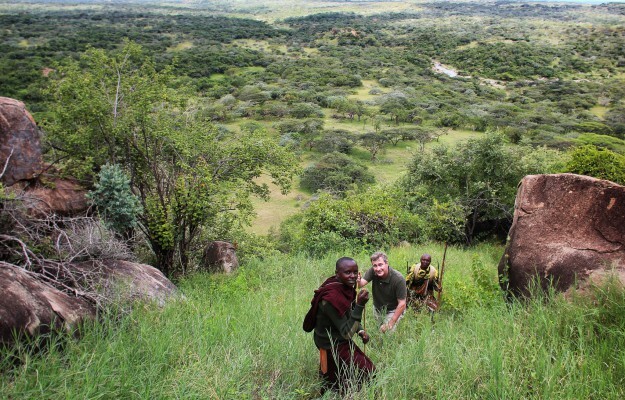 In the area where I grew, a lot of people went to Koiyaki Guiding School –that is our community guiding school around Maasai Mara, located in Naboisho Conservancy. 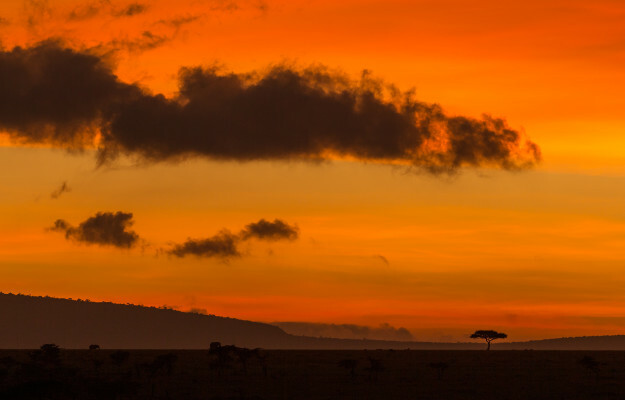 So one day I asked someone “What is the main role of a guide?” so they answered that even if you don’t live in the conservancy, working as a guide you would conserve the animals and environment. And that to me is the most important thing: conserve the animals and environment. 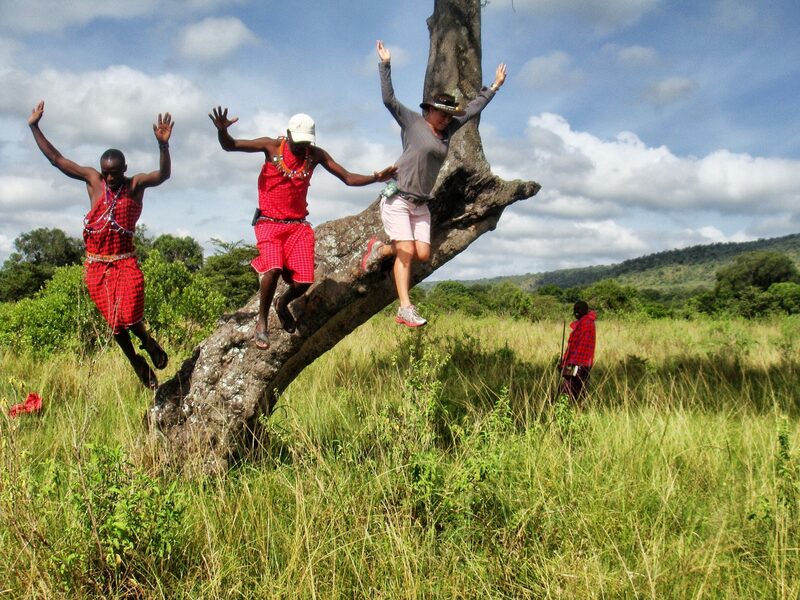 How does it feel for you to be one of very few Maasai female guides in the MMNR? 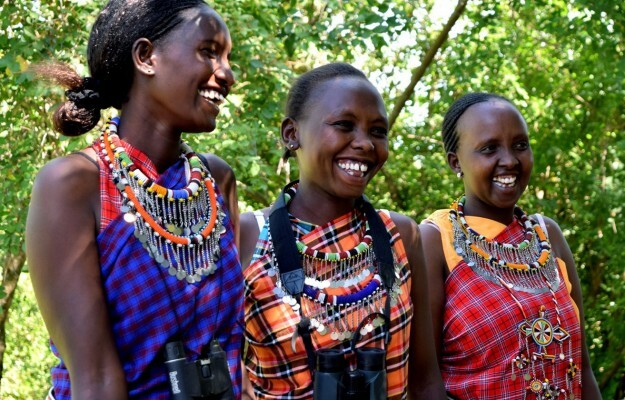 The main reason why I wanted to be a female guide in the Maasai Mara is because I think is good to have gender equality in every department. So if you go to guiding, you need to have ladies; if you go to another department –like chefs or any other- it is also good to have ladies. We need gender equality in our community – we don’t want to be left behind! This is my fourth year being a guide, and they have really seen my help. They are also getting a lot of benefits, 70% of the business (in the Maasai community) comes from tourism, so it’s helping us to grow. My dream in life is: if I leave this job, I will never do something far from tourism. I will work in tourism so that I can conserve animals and environment for my entire life. When I was in high school I realized I wanted to become a guide. When it came to decide my career, I knew I wanted to be in tourism – and I wanted to be in that office. The thing is, it’s a surprise to be in the wildlife office. A lot of people wanted to be teacher, or chef, but I chose to be a guide because it’s a great thing to be. I feel it’s great, because most of the people say that ladies can’t do the thing that males do. Driving a big car is thought to be “too hard for a lady”. I think that what a man can do, a lady can do. So I think it’s a great opportunity for me, and I like it very much. Lots of people in the community like it because they think “Wow, we have a few ladies working and they are doing very well!”, and it feels good. My family likes it very much, especially my dad. They feel good, not all of the ladies in the community are doing this, so they appreciate it a lot that I am. Why did you become a guide? 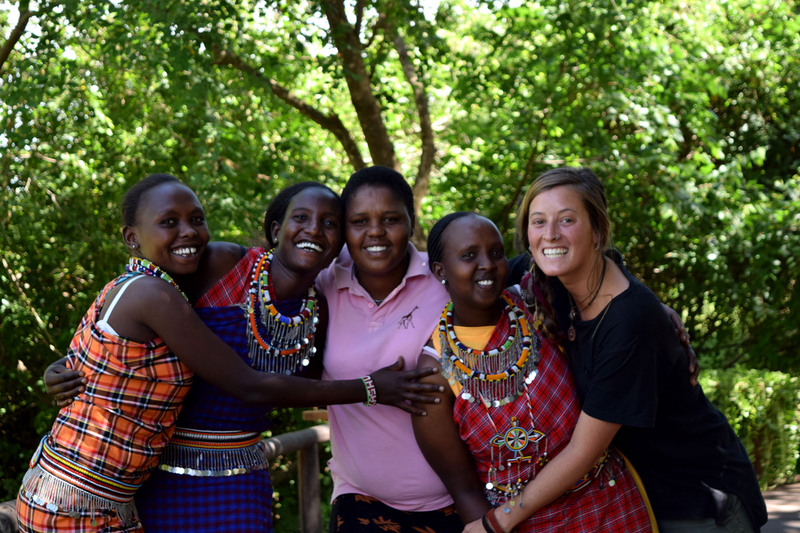 How does it feel for you to be one of very few Maasai female guides in the MMNR? I became a guide because is the career I chose when I was a young girl: I wanted to be a tour guide. 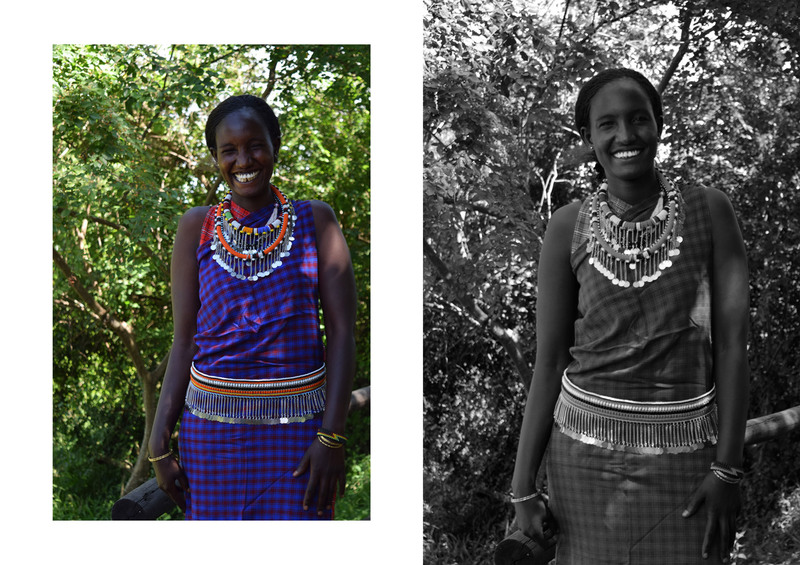 To be a role-model for the community; to encourage my fellow “gals”, and show that everyone can do what they want to do; and to be an example for the Maasai community. They think it’s perfect. They gave me the right to do it. I feel good, so they feel good. My goal in life is to expand in the tourism industry. I now have a bronze level in guiding, and I want to have silver and then gold. 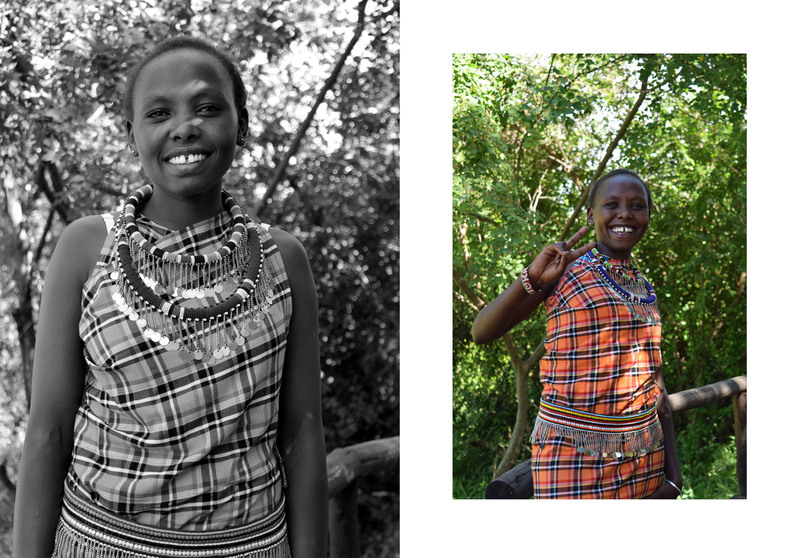 I want to increase my education in wildlife management so that I can learn to conserve animals and the environment.